Filling in the slot just preceding the Arkells’ set, Michael “Fitz” Fitzpatrick and the Tantrums transported a TURF audience that had so far in the day only been treated to antique music forms like JD McPherson’s ’50s nodding rockabilly and Justin Townes Earle’s country western music to an all out dance party. Channeling soul, pop, and electronic dance music, Fitz and the Tantrums’ set ran on high energy, with Fitz and Noelle Skaggs turning the stage into a facility for physical fitness and doing their best to transfer that energy into the crowd by barking what were technically orders but ultimately fiesta instigating words of wisdom. 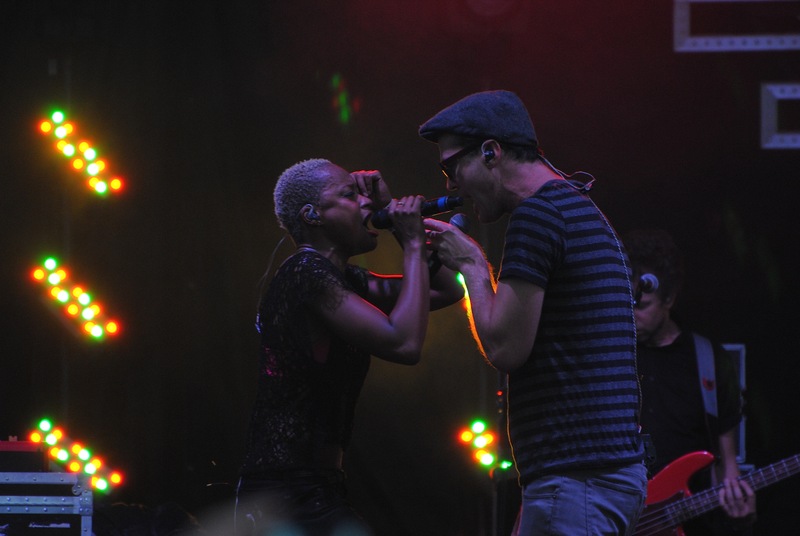 This entry was posted in Burden of Salt and tagged Eurythmics, Fitz and the Tantrums, Michael Fitzpatrick, Sweet Dreams (Are Made Of This), Toronto, Toronto Urban Roots Fest, TURF on July 6, 2013 by Tom Beedham.